​What will my child be playing? This is your child's first introduction to the sport, and often to throwing, catching and running with a ball. The focus is on fun and developing their coordination skills! 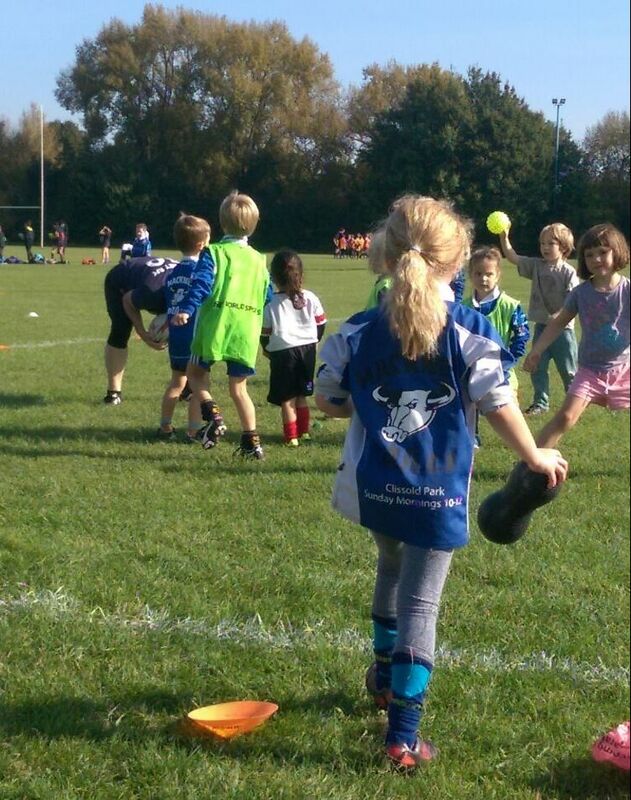 ​As they progress, they will move onto tag rugby. Tag rugby is a fast moving non-contact team game. Each player has a belt with two Velcro tags. Attacking players attempt to dodge, evade and pass, while defenders attempt to prevent them scoring by “tagging” – pulling the Velcro tag from the ball carrier, rather than a full contact tackle. A full set of rules can be found here. Training sessions, at Spring Hill, start with a warm-up, skills and drills, followed by games of four a side, where the emphasis is on fun! Friendly fixtures follow the same format. We play on Sundays, 10:00 – 11:30.